Harry Hooligan, notorious con-artist, thief and all-around-not-a-nice-person, has escaped! 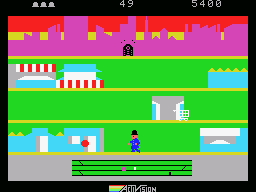 He is now at large and in the vicinity of Southwick’s Emporium. At this moment; Hooligan is foiling every attempt to end his felonious freedom. On the scene is Keystone Kelly, pride of the men in blue. 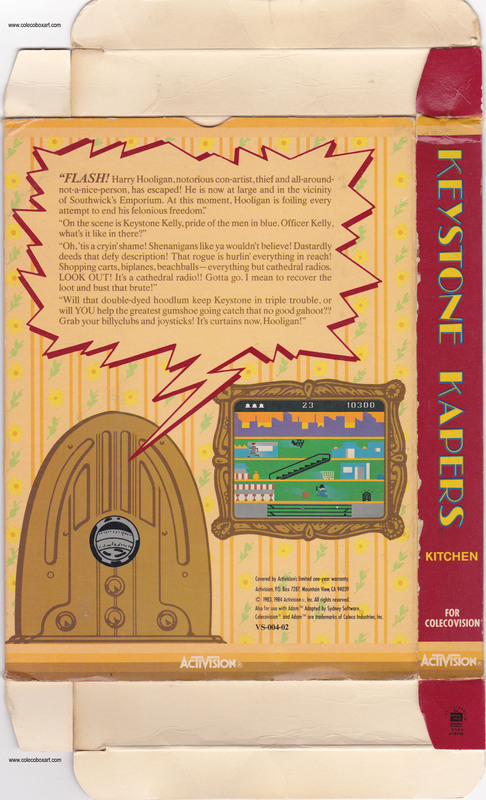 Will YOU help the greatest gumshoe going catch that no good gahoot?? 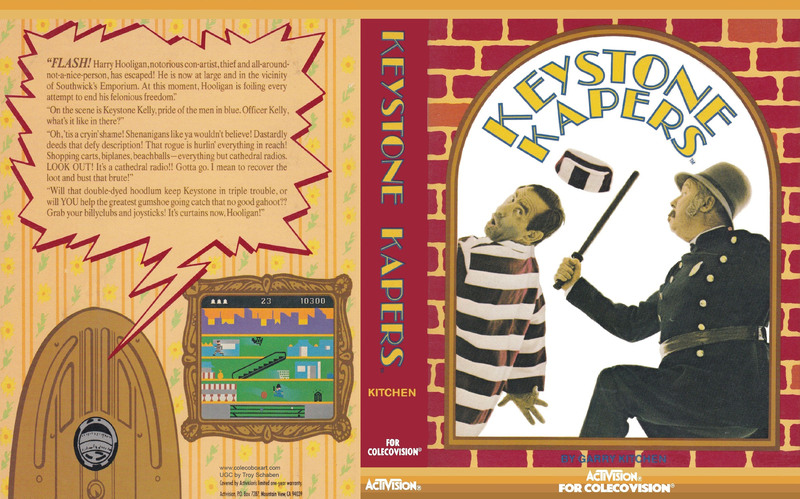 Grab your billyclubs and joysticks! It’s curtains now, Hooligan! 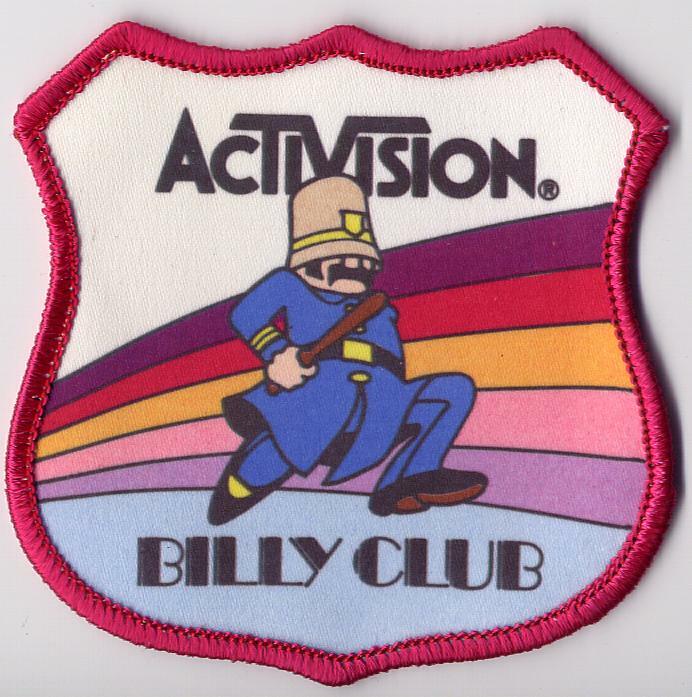 RECRUITS SOUGHT FOR "BILLY CLUB"
When your rank reaches 30,000 points or more, we’ll be glad to add your name to the list. Just send us a picture of the TV screen showing your qualifying score and we’ll send you the official "Billy Club" emblem. 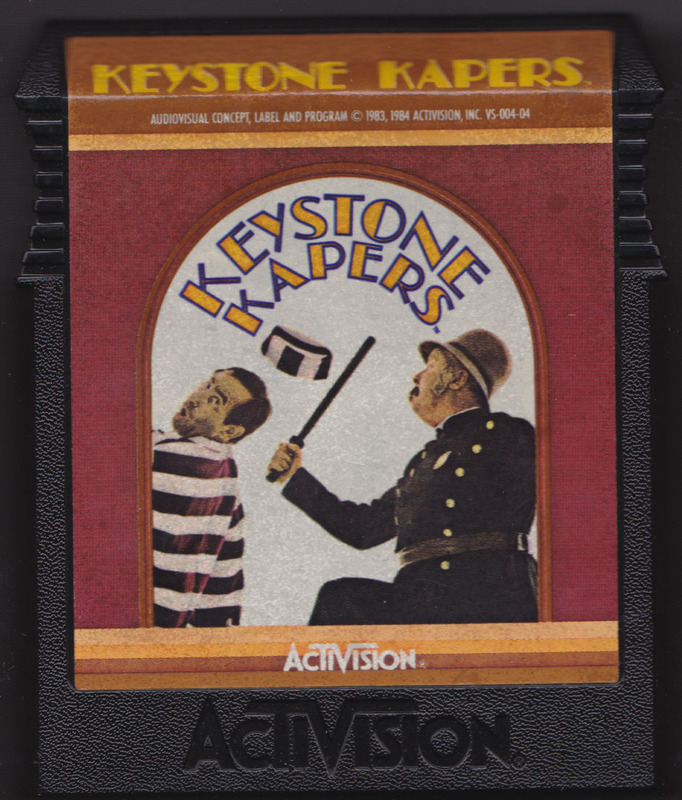 Keystone Kapers was published by Activision for the Atari 2600 in 1983, and later ported to Atari 5200, Atari 8-bit family, ColecoVision and MSX. 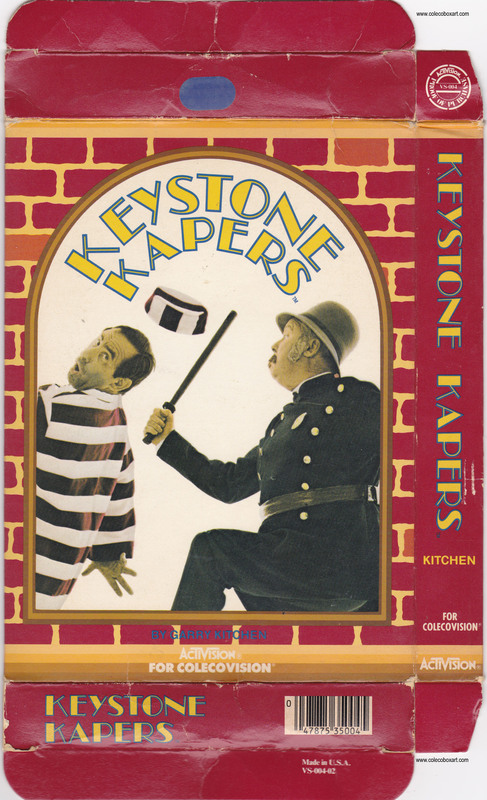 It was inspired by Mack Sennett's slapstick Keystone Cops series of silent films.